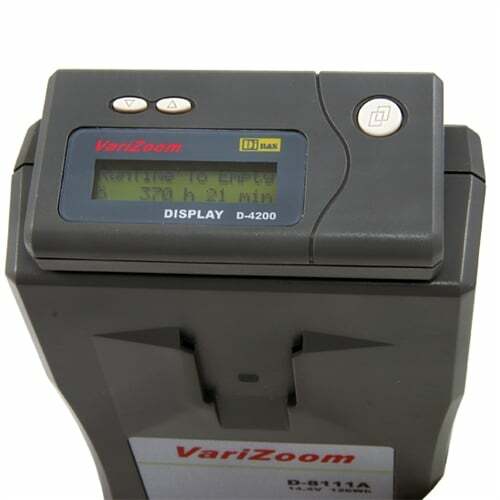 Attach the VariZoom battery watch to the top of any VariZoom digital battery. 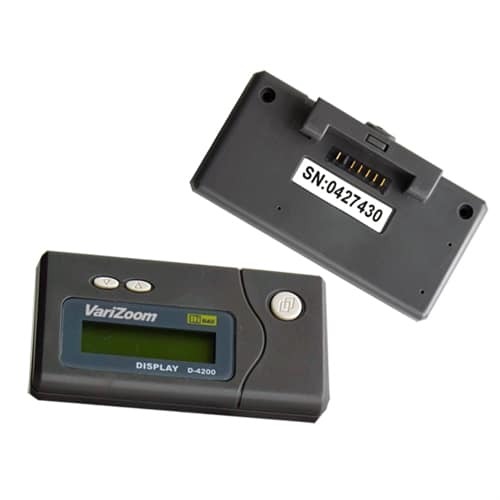 Quick attach/detach feature enables convenient status check and power conservation of your batteries. Display details the run-time and operating data on the backlit LCD. Also features a low power alarm. Use with either V-Lock or 3-Stud mount batteries.